Was it a stitch-up for British Cycling to delete all the Cyclists in Southwark Letsride rides? It now looks as though Jamie was right and it was just a stitch-up for British Cycling to delete all the Cyclists in Southwark Letsride rides. This is because we can just create them them again at https://www.strava.com/clubs/cyclistsinsouthwark and they won't be able to touch them! We've found that, as with Brexit and with turkeys voting for Christmas, sometimes it is better to delay decision-making when the outcome is of more importantance than democracy. Read more about Was it a stitch-up for British Cycling to delete all the Cyclists in Southwark Letsride rides? Was it a stitch-up for Cyclists in Southwark to be asked to cancel a Cutty Sark ride? 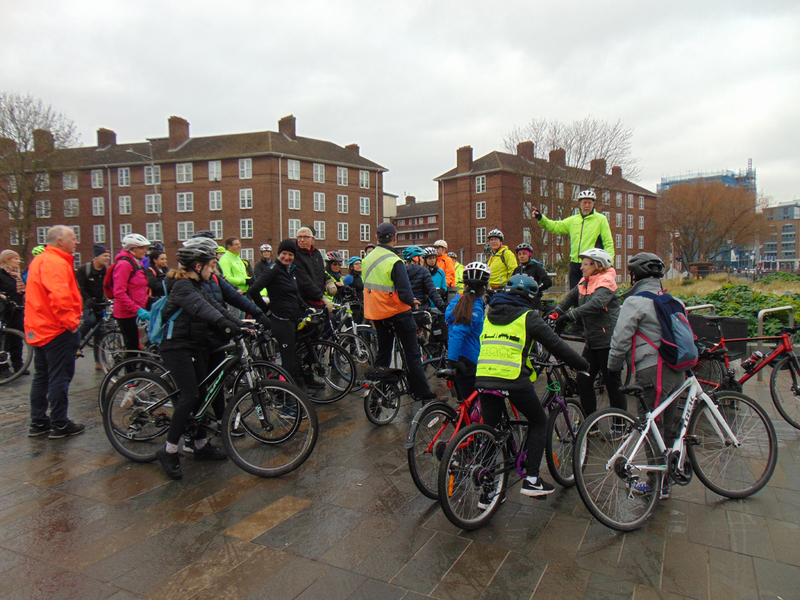 With 38 cyclists (plus an all-male splinter group of 5 doing a ride up the Lee Valley) turning up at Cutty Sark Gardens on Saturday 16th Feb at 9.30am for a third Saturday social ride, how are we going to be able to register who these people are and how are we going to be able to organise what they do? Read more about Was it a stitch-up for Cyclists in Southwark to be asked to cancel a Cutty Sark ride? What is the meaning and origin of the idiom "to put a spoke in someone's wheel"? This expression has been part of the English language for well over 400 years. You may wonder how putting a spoke in a wheel will impede anyone's progress. After all, a bicycle wheel is full of spokes, putting another one in is unlikely to slow things down. What you must remember is that the wheel referred to here is the ancient wheel — the solid wooden wheel, one which didn't have any spokes. These wheels, however contained a hole, and whenever someone wanted to stop the wheel from moving, he inserted a spoke into the hole. The spoke or pin acted as a brake and thus impeded movement. Read more about What is the meaning and origin of the idiom "to put a spoke in someone's wheel"?